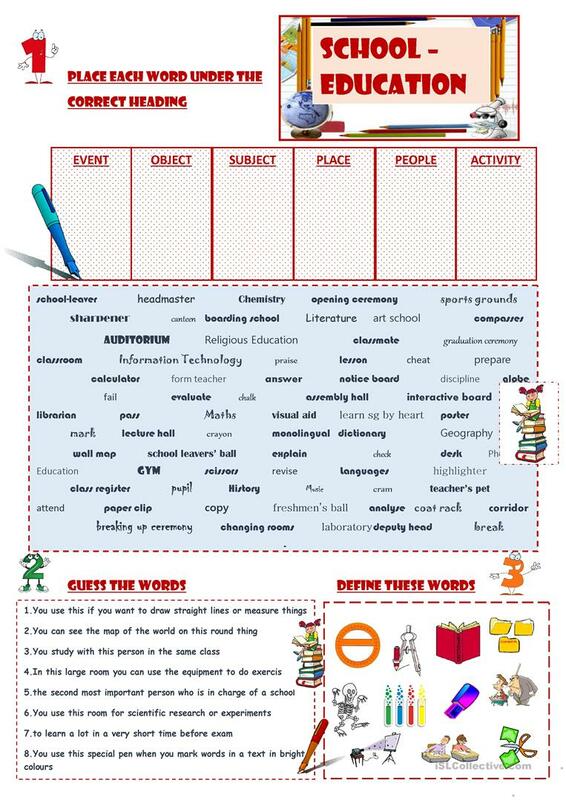 Vocabulary related to school topic can be practised with this worksheet. Students have to group the given words and define school items. 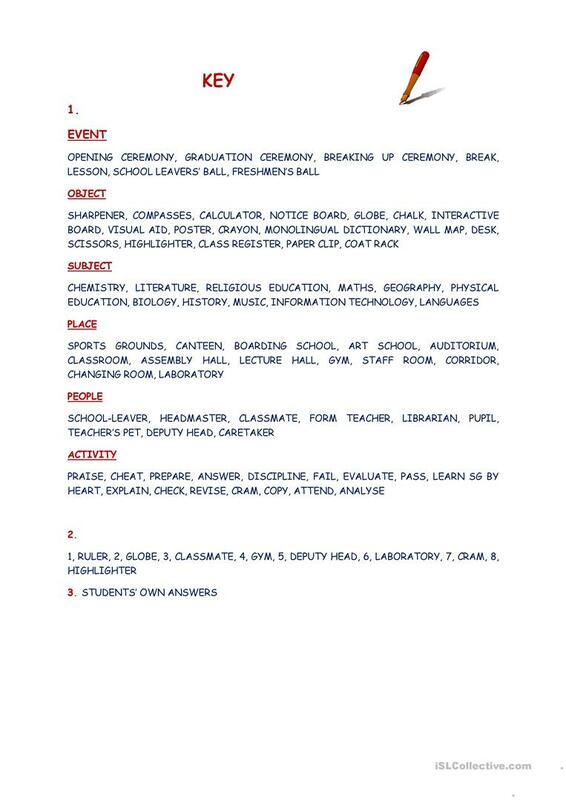 More words and speaking exercises can be added to this ws. Key is included. The above downloadable worksheet is best suited for business/professional students, high school students, elementary school students and adults at Pre-intermediate (A2) and Intermediate (B1) level. It is excellent for developing your groups' Spelling, Speaking and Writing skills. It is about the topic and words of School. It includes a key, too.